Curtis is the founder and CEO of Main Street One (www.mainstreet.one). The U.S. cannot restore the health of its democracy without repairing the state of its online discourse. Expressions online quickly become political reality, and public opinion is increasingly won and lost online. The Right weaponized the internet to advance extreme views. As a result, the Left is losing the popular discourse. Main Street One changes social and political outcomes by winning the public debate on behalf of causes, campaigns, and corporate issues. We protect the will of the people by repairing harmful narratives and animating positive ones through new tools of machine learning and intelligent narratives. Curtis is founder & CEO of The Social Good. His mission is to help repair the most pressing societal issues through social innovation. The Social Good works on behalf of companies, NGOs and governments by applying machine learning, artificial intelligence, and mobile/social marketing to issues of public good – issues such as hate-speech, disaster response, gun safety, equal rights and substance abuse – on behalf of partners such as Facebook, Bloomberg, UNICEF, Child Mind and Google. In today's era of activism, organizations that don’t stand for something, that don't innovate in new mediums, are becoming less relevant, impactful and profitable. So, rather than one-off campaigns, The Social Good creates sustainable, replicable, and above all measurable social impact models. Built upon our proprietary evaluation framework for social impact. By distributing these models across ecosystems of partners, we achieve unprecedented scale online, often in concert with traditional partners. The Social Good is a B-Corp, an innovative operating structure which allows our management team to make fiduciary decisions based on social impact as well as short-term profits with rigorous standards of social and ethical performance, accountability and transparency. Profits from our B-Corp then flow into our non-profit 501c3 to support social movements based on direction from our clients, board, employees, and civil society. Read our story in Medium. Most recently, Curtis implemented successful models to counter hate-speech and violent extremism online in support of Google, Microsoft and Facebook. He is best known for founding one of the first new media agencies in 1991 and one of the first social media agencies in 2004 -- both named Attention. Over a 25-year career he built and sold four companies specializing digital innovation to Ruder-Finn, Euro RSCG, Viacom and MDC-Partners. At Attention Curtis co-developed Tracx, the first social listening platform to measure intent; incubated the Risk Assistance Network & Exchange (RANEnetwork.com), the larges global expert network of safety, security and broad spectrum of risk management professionals; and launched the first social marketing practice specializing regulated industries. Most recently, he joined the board of Data for Democracy, more than 3,000 data scientists dedicated to social change. Curtis is a frequent speaker at conferences such as Cannes, SXSW and Wired Disrupt and writer for Ad Age, PSFK and Knowledge @ Wharton. His client experience ranges from UNICEF and New York Cares, Facebook and Google, Conde Nast and The Daily Beast, Novartis and Pfizer, Microsoft and Amazon, Blackstone and Morgan-Stanley, and Mattel and Verizon. He is an advisor to New Knowledge and Graphika and sits on the board of Data for Democracy, CADCA, and A.I.R. NYC. To read some of my story, click on the icons below to read my views on social media. While healthcare marketing struggles with the constraints of regulation and risk aversion, patients are actively seeking and sharing information via social channels. Quite simply, the industry is witnessing marketers saying one thing, and patients hearing another – in markets as varied as France, USA and Brazil. How can the industry deliver clear, impactful, creative messaging to patients in order to empower them to make sound healthcare decisions? What kinds of messaging work best at different touch-points in a customer journey? The solution requires a creative shift - not just a data shift - in which marketing messages are more agile, and marketing media is created in the context of how it’s distributed. In the middle of the real social-media boom, advertisers and marketers are still getting a feel for how it can best be used to reach their audiences. 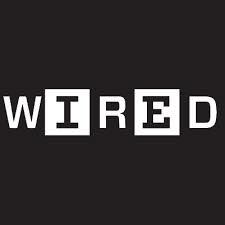 Curtis Hougland, Founder & CEO, Attention, told Wired’s Disruptive by Design business conference that much of the social-media strategy employed by marketers today follows guidelines that are based on common myths. Watch the video or read the article to find out The Myths of Social Media.